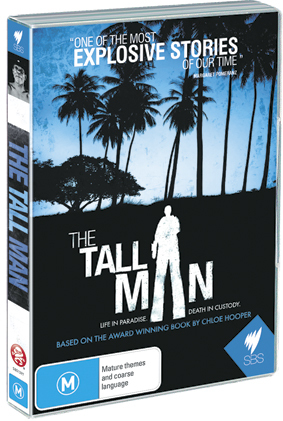 “Tony Krawitz’ documentary The Tall Man painfully captures the horrendous ambiguities surrounding the death of Mulrunji Cameron Doomadgee on Palm Island in 2004 and the failure to convict police sergeant Chris Hurley for his part in the man’s death. Like Chloe Hooper’s award winning book of the same title, this is a film that attempts to deal with both (or more) sides of a story that is deeply complex given the character of Queensland colonialism, its police history and the cruel peculiarities of Palm Island…. [The film is] an indictment of a system that has ruined the lives of Indigenous people and then held them guilty for the outcome.” Keith Gallasch, RT102. Another in Madman’s Stories That Matter series is the award-winning and groundbreaking, epic series First Australians written and directed by Rachel Perkins with fellow writer-director Beck Cole and writer Louis Nowra, and produced by Perkins with David Dale and SBS. “First Australians chronicles the birth of contemporary Australia as never told before, from the perspective of its first people. First Australians explores what unfolds when the oldest living culture in the world is overrun by the world’s greatest empire. 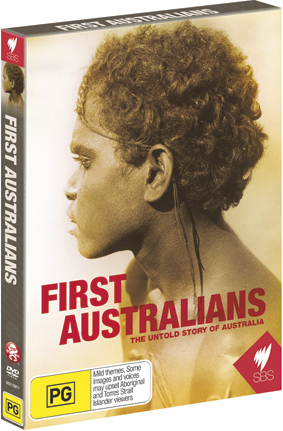 Over seven documentaries, First Australians depicts the true stories of individuals–both black and white—caught in an epic drama of friendship, revenge, loss and victory in Australia’s most transformative period of history” (press release). Superb viewing. The Tall Man and the First Australian's is part of Madman’s culturally significant series, Stories that Matter. Ronin Films has an astonishingly large and exemplary catalogue of films by and about Australian Aboriginal and Torres Strait Islander peoples. 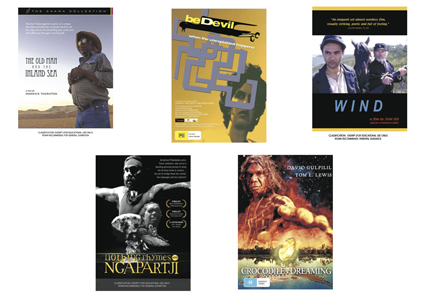 They are offering to one lucky RealTime reader a collection of five DVDs: Tracey Moffatt’s Bedevil, Iven Sen’s Wind, Warwick Thornton’s The Old Man and the Sea, Darlene Johnson’s Crocodile Dreaming and Suzy Bates’ Nothing Rhymes with Ngapartji—which documents actor Trevor Jamieson’s involvement in the acclaimed theatre production Ngapartji Ngapartji. Ronin Films is offering schools a 30% discount for 10 films on DVD from their Indigenous collection for 2013. For the full Ronin Films Indigenous Australia catalogue go to www.roninfilms.com.au or contact the company at admin@roninfilms.com.au. Email us at giveaways@realtimearts.net with your name, postal address and phone number.